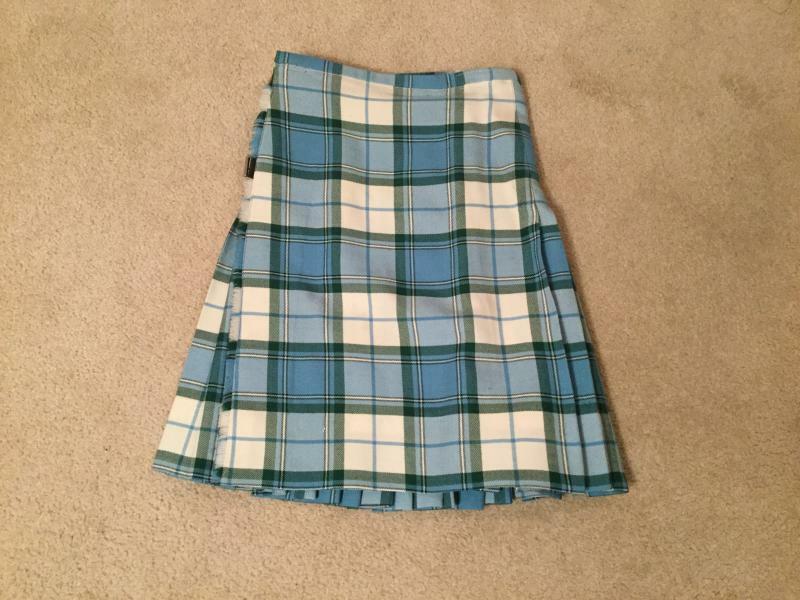 dance.net - Turquoise Longniddry wool Kilt - 25 inch waist, 20 inches long - $200 plus shipping (10244882) - Read article: Ballet, Jazz, Modern, Hip Hop, Tap, Irish, Disco, Twirling, Cheer: Photos, Chat, Games, Jobs, Events! Locked by Rockladyblue (256838) on 2017-03-02 20:43:39 This is sold. We purchased this wool kilt for our daughter when she was 9( from dance.net) She is a very tall and slim and we needed a kilt with extra length. However, she then grew so fast that she never wore it! 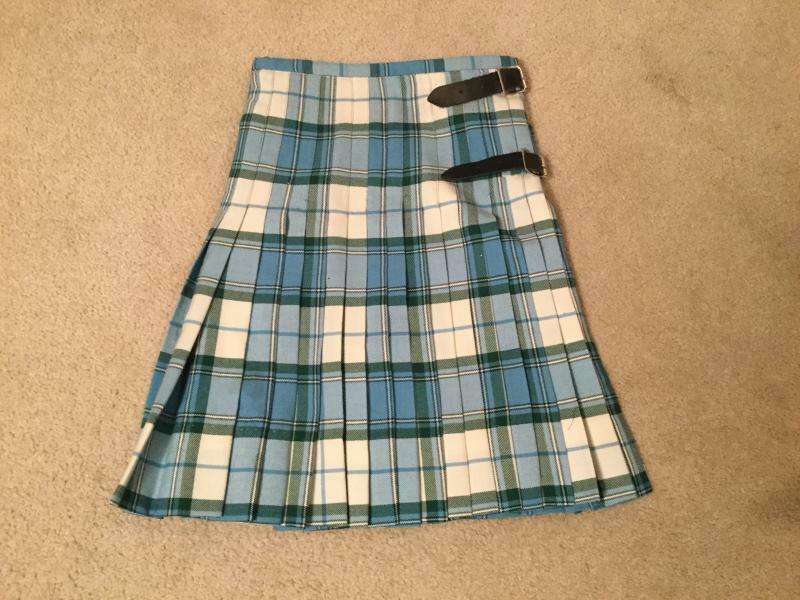 The kilt is 20 inches long and has a 3 1/4 inch hand sewn hem. There are buckles and Velcro at the waist. The waist is 25 inches at the smallest. The kilt is in great condition and is sold as is. Feel free to ask any questions. Buyer pays shipping.